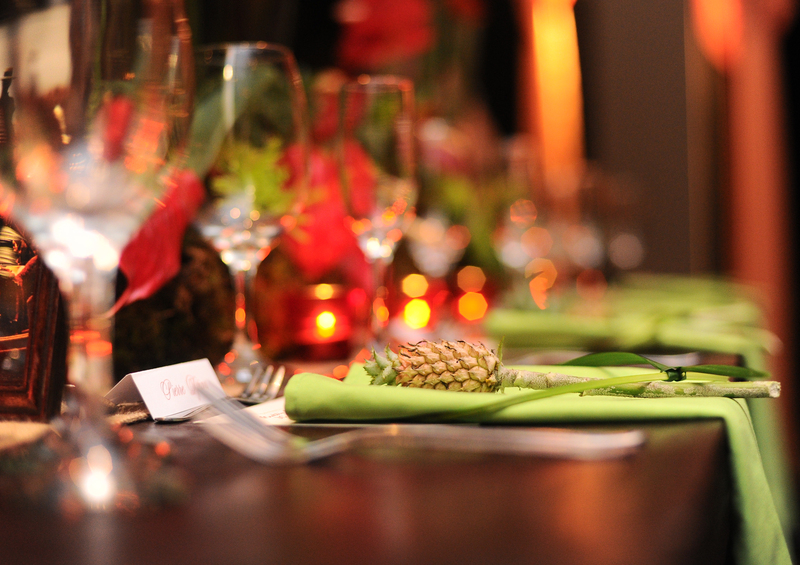 The day was beautiful and the decor was all white. 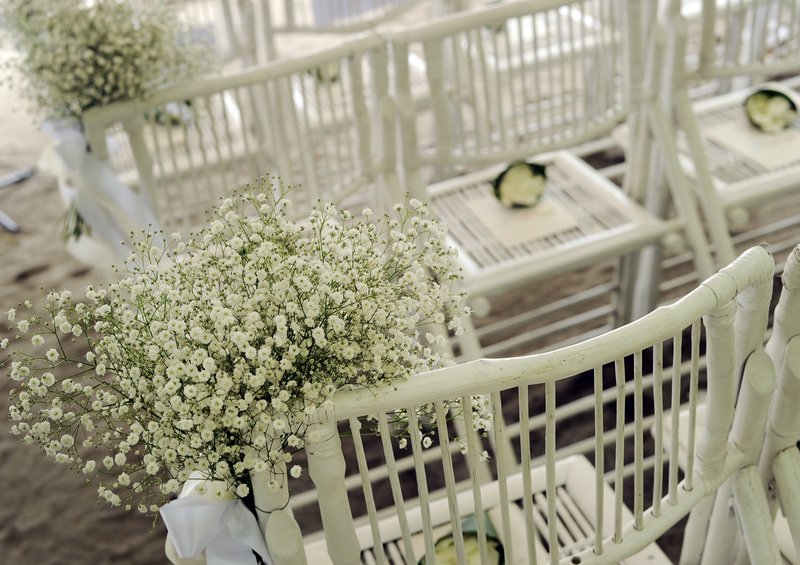 Babies Breath buches were on the end chairs which outlined the aisle. 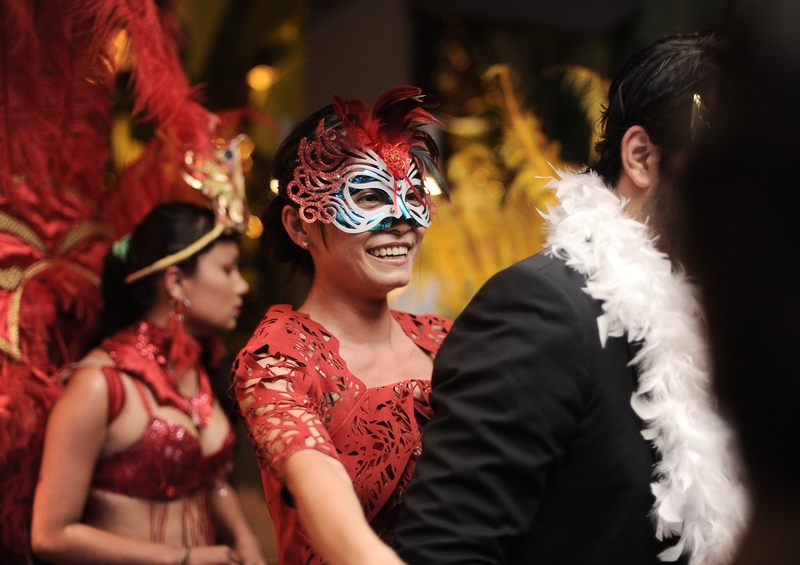 Guests came from all over the world to be part of the celebration. 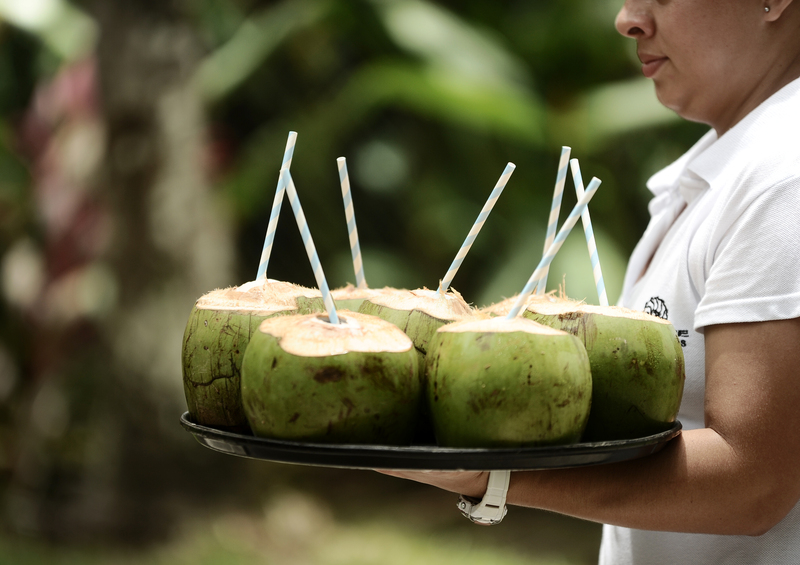 After the ceremony coconuts were served to the guests and photos were taken on the beach. It was a hot day and a water ice cart came by to help the guests cool off. Now it was time for another activity. 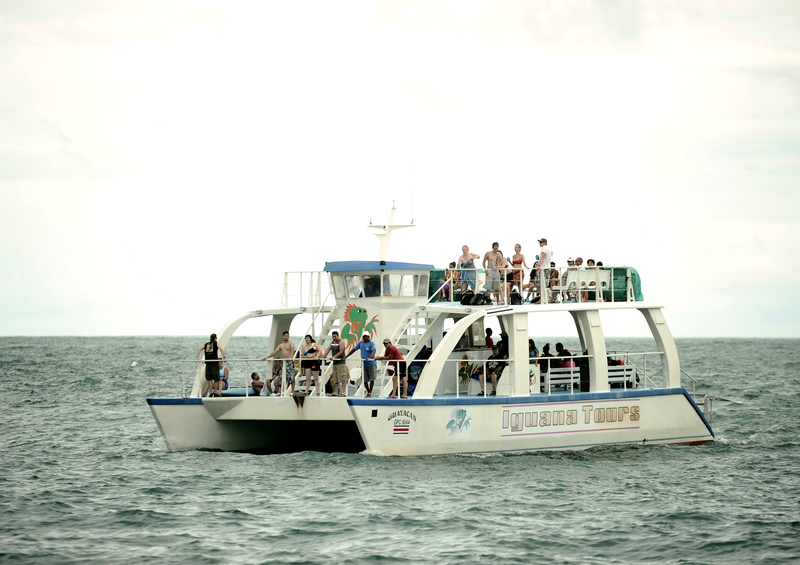 Buses picked up the guests and took them to the Marina in Quepos to board a catamaran. They looked for dophins, danced, swam, snorkeled and had lots to eat and drink. Docking at sunset the guests moved on to their hotels to get ready for the reception. 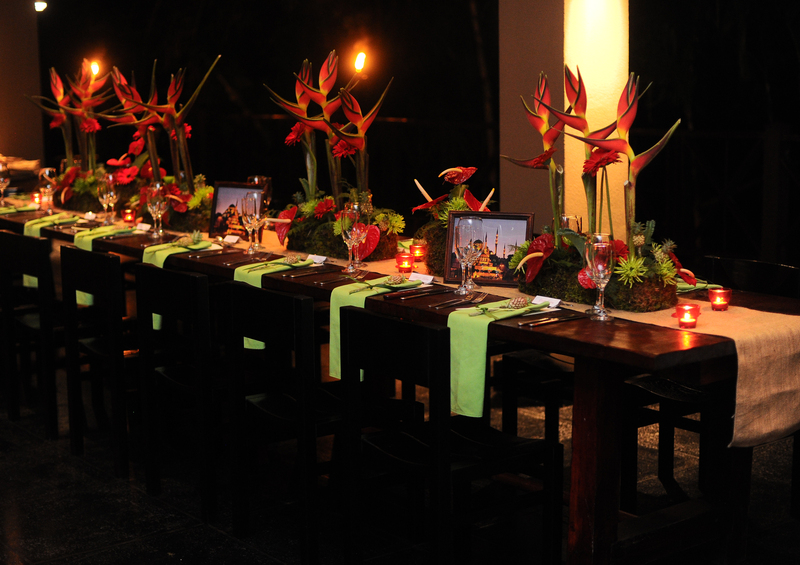 For a change of pace the reception at Karola’s featured lush tropical colors and mescal. 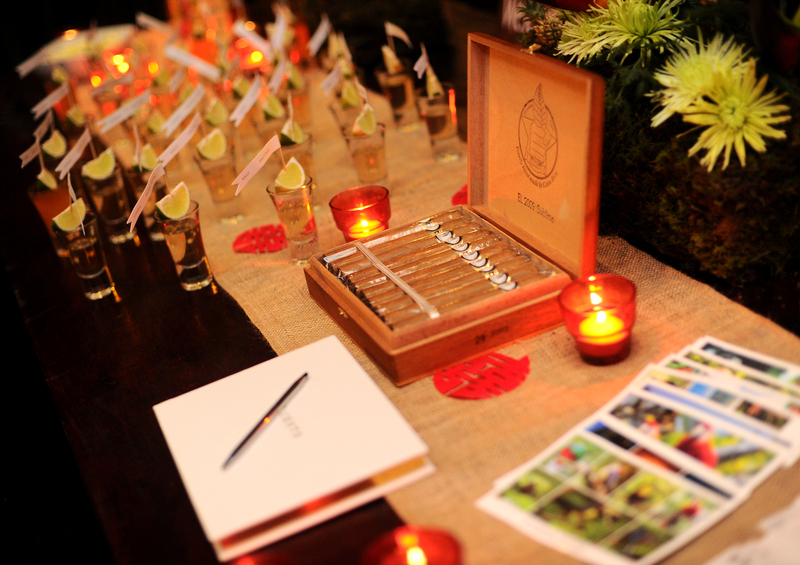 Beatrice developed a taste for this when visiting Mexico. 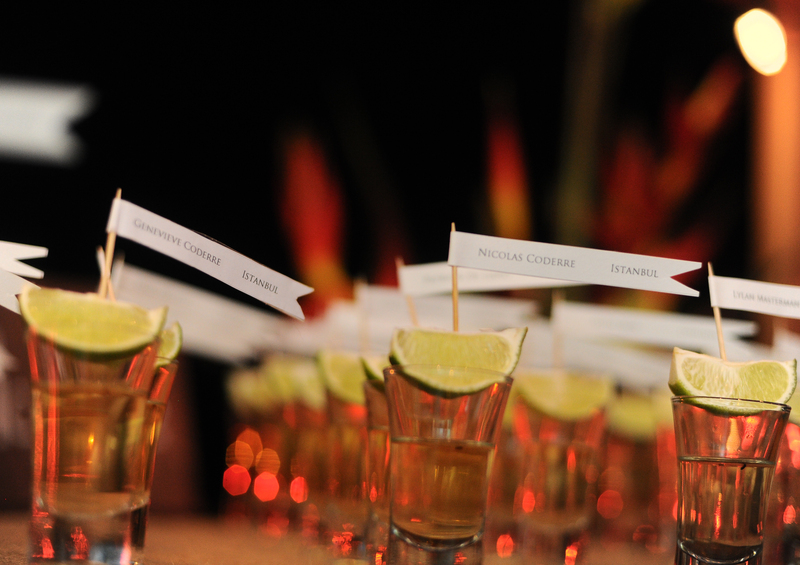 Guests looked for their names on flags which were placed in a lime on each shot glass. 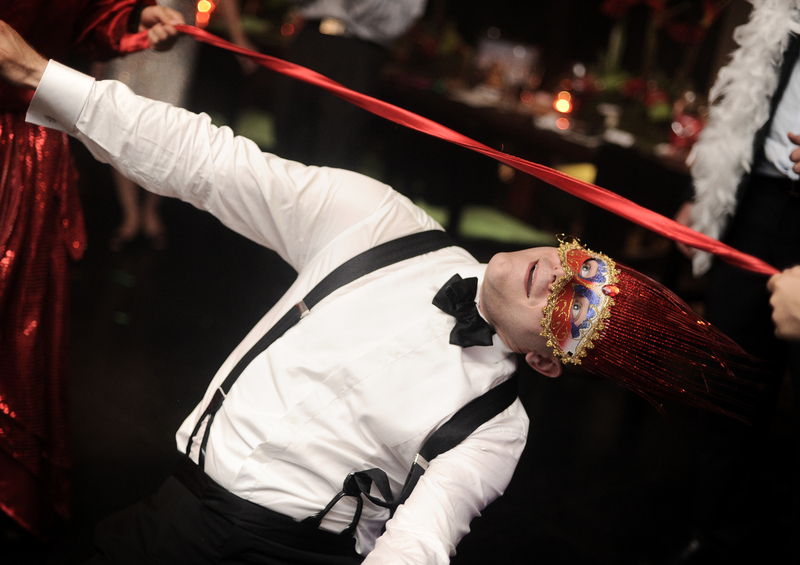 Thanks to Eduardo Lopez for the capturing the photos of this wedding. 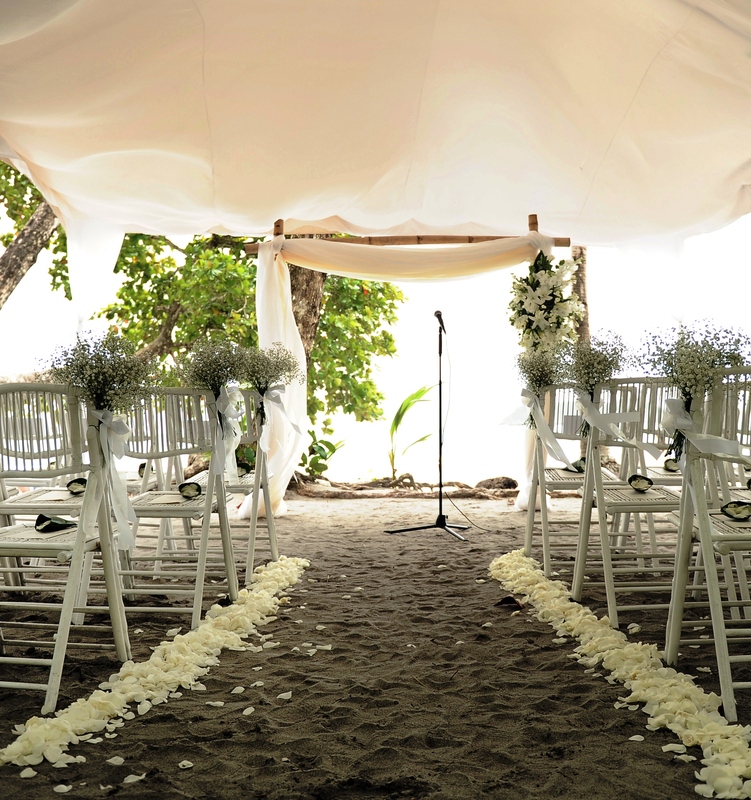 This entry was posted in Beach Wedding, Comparsa - Dance troupe, Manuel Antonio Beach Wedding, Seating Cards, Unusual Weddings, Wedding Ceremony, Wedding in Costa Rica, Wedding Locations, Wedding Pictures, Wedding Planning, Wedding Reception, Wedding Vendors by Randy Gritz. Bookmark the permalink.